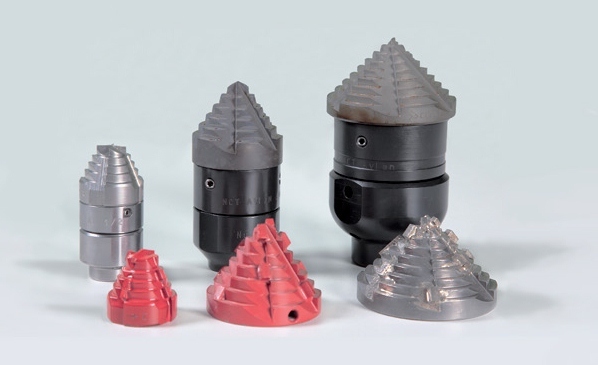 Penetrating nozzle with interchangeable steel (TA), carbide (TW) or chain bearing (TC) head. Blockages, total obstructions, stones, roots. 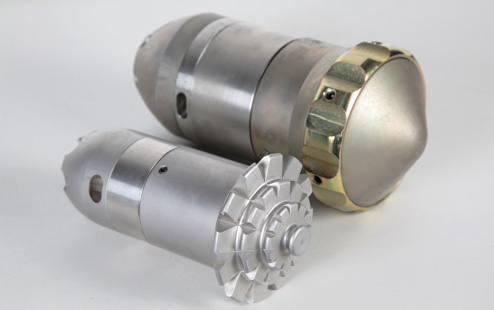 Rodding nozzle with preopeller rotating head. Roots, limestone, compact soil, accumulation, obstructed pipes. 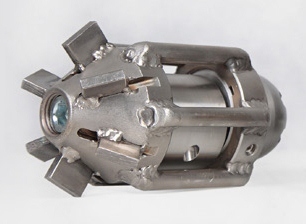 Propeller nozzle with carbide drilling head. Total blockages, stones, compacted soil accumulation. 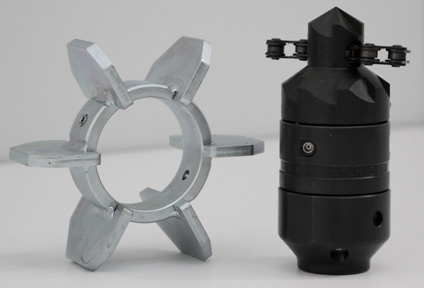 Vibrating nozzle for easy removal of light sediments at working pressure of 100/150 bar. 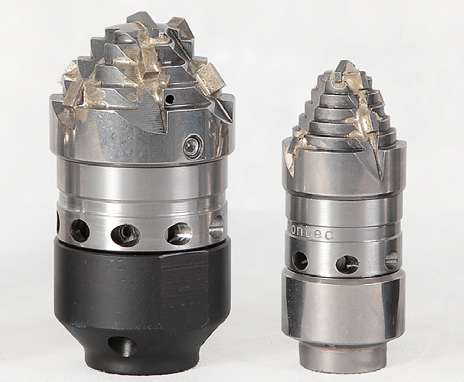 Available with or without carbide teeth on top of the head. Limestone, concrete, mineral deposit, slag, building material. Drains and vertical columns. 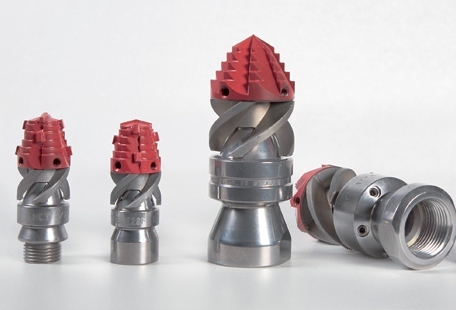 Heavy hammering nozzle for easy and fast removal of silts and mineral sedimentations at low working pressure. 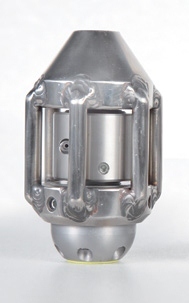 Rumax 100 can be set with different hammer rings in relation to pipe material and conditions. Not to be used in ceramic pipes. Limestone, concrete, mineral deposit, slag, building material.